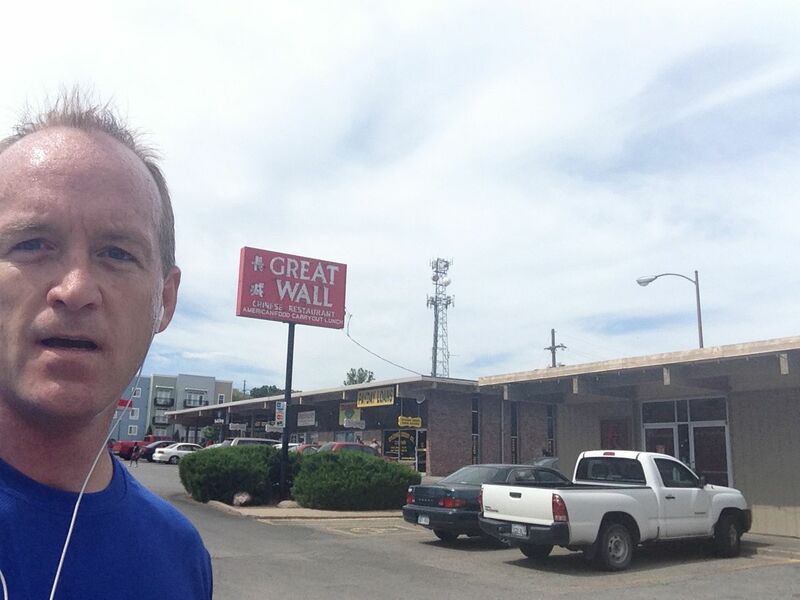 Hi, I’m Chris Hill and today I’ll be running you through a few of the sights and sounds of Topeka, Kansas. I know, I know, you’re probably thinking that if we documented all of the amazing places in Topeka, Kansas, I’d still be running! In all seriousness, there are quite a few places in Topeka and across the Midwest that are worth slowing down for. I chose a few of those places as I planned my running route. I must say that the initial plan for my thank you’s changed as I began my run, but I’ll get to that in a moment. 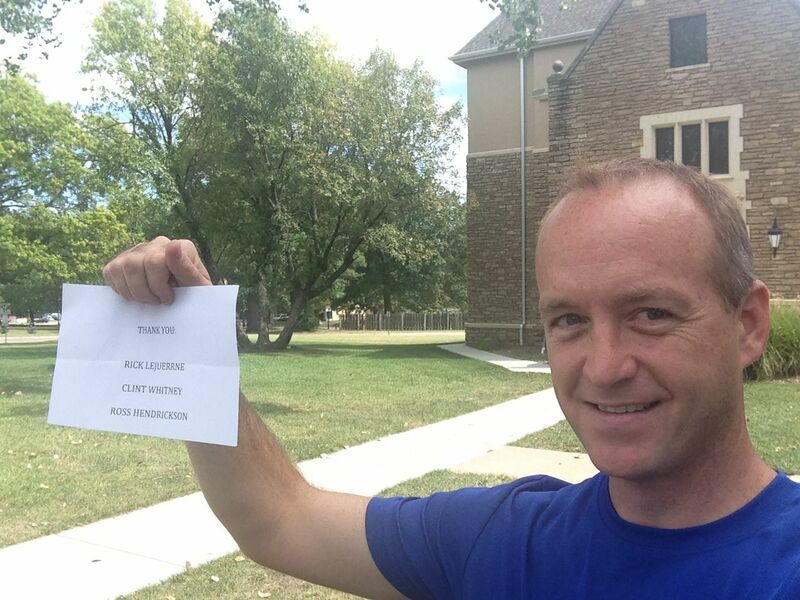 I began my route on the Washburn University campus in front of the Phi Delta Theta House. This house was my home for four years while I was at Washburn as an undergraduate. I paused in front of the house to say an initial thank you to three of my closest friends and fellow Phis. Rick LeJuerrne and Clint Whitney were both on the rush team for the chapter the spring and summer leading into my freshman year. We were all from the same hometown so they knew me already (which could have either helped or hurt my chances of being invited to join!) and made sure that I felt right at home during my rush experiences. These two along with Ross Hendrickson, a pledge brother, are my best friends. They all have helped me through many trials and tribulations in my life. I am lucky to have them in my life and our friendship really began in the house right behind me in this picture. 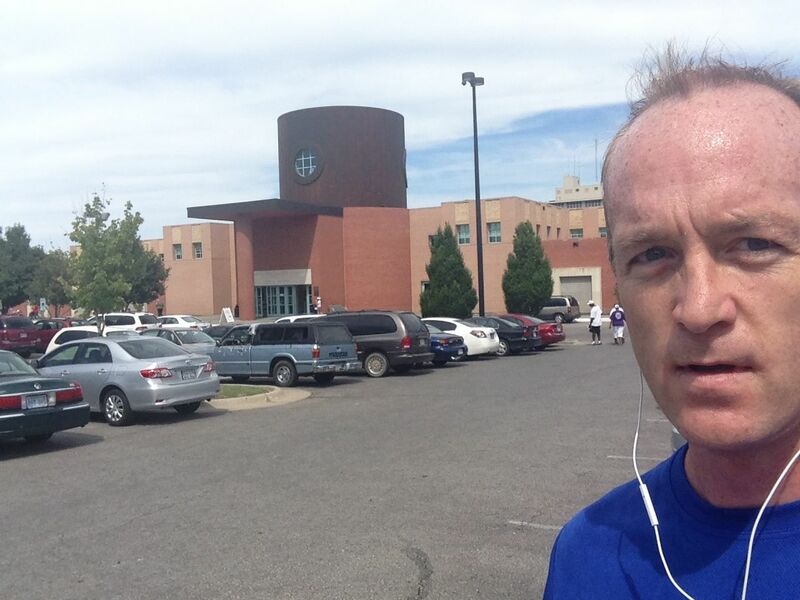 I ran across campus, running the same route that I made for four years on my way to football games and campus events. 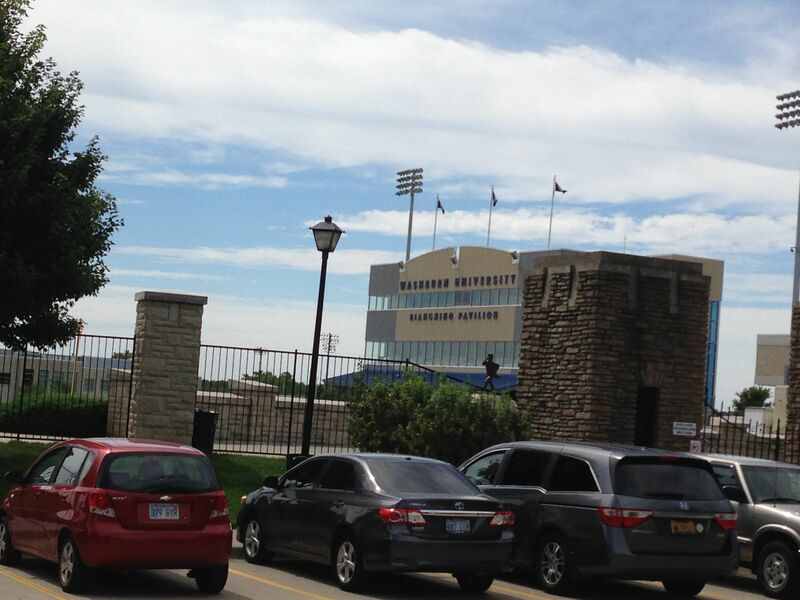 I paused to take a couple of photos of the new and improved football stadium. As I rounded campus and ran past a few of the sorority houses, I started to rethink my initial plan for my thank you signs. Getting back to what I stated earlier, my initial plan was to spend my run thanking the 10 Kansas National Guard members who gave their lives in service to our country while serving in our two most recent conflicts. As I was trying to take a photo I felt that it was a little too informal for me to hold up names and photos of these 10 heroes. So, I abandoned that plan – not to thank them for their service but to take the photos of me thanking them along the way. Instead, I’m adding all of their names and photos to the end of this blog as a small way of saying thank you for their ultimate sacrifice. 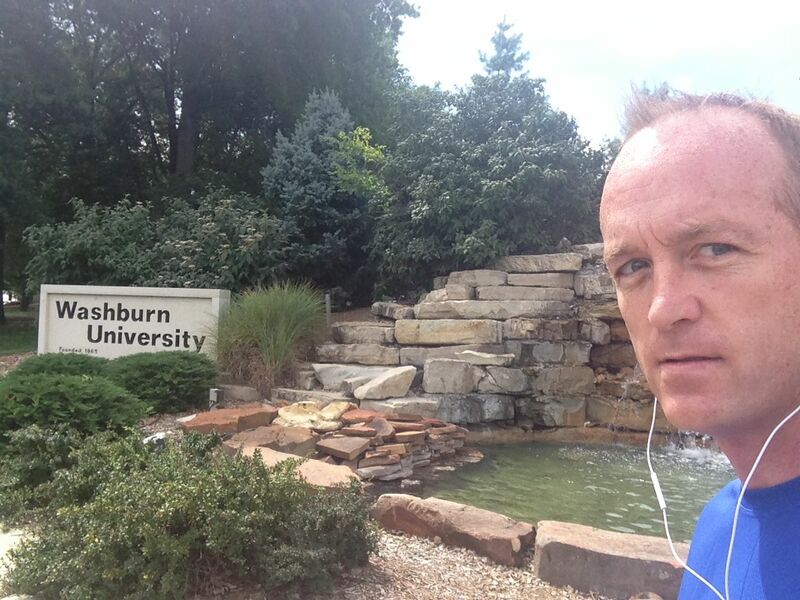 Next I ran onto 17th Street, just off of the Washburn campus heading towards a couple of locations that brought back college memories. First was the Kwik Shop, a convenience store if you may be wondering. Many trips were made to this store, and a lot of coins were spent on drinks, snacks and a particular video game. Thank you to one pledge brother in particular who spent many hours with me playing that game – Brother Scott White, thank you for this memory! 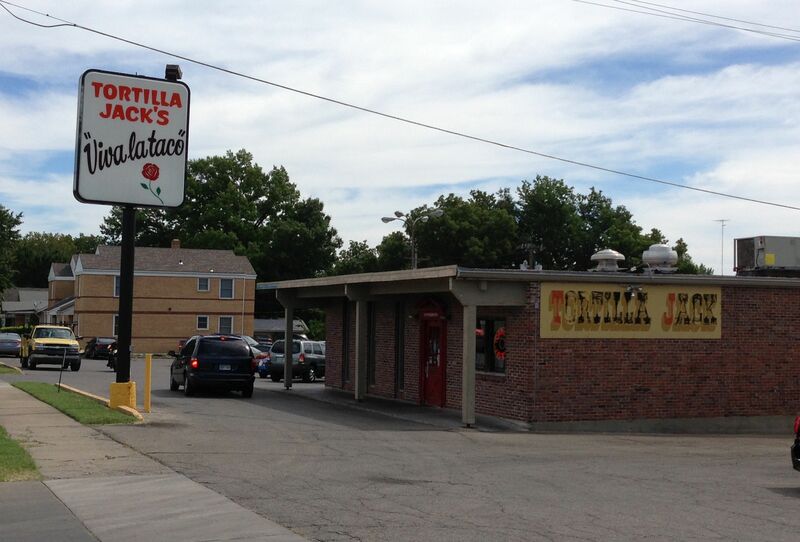 Just around the corner from the Kwik Shop is Tortilla Jacks, a Topeka and Washburn favorite for Mexican food. Many tacos were eaten at that place, and many more were picked up and brought back to the Phi Delt house for Sunday afternoon football games. I was first introduced to this place at a rush party – Thank you to Todd Jensen for this introduction. But to thank Todd for a taco is not nearly enough. Thank you Todd for introducing me to what Phi Delta Theta is all about. Todd was our Phikeia Educator (in those days called Pledge Master) and he was all about that job. He lived and breathed Phi Delt, and I would wager that he still feels much the same way about our great brotherhood. Last year at our Founder’s Day celebration, Todd was awarded his Silver Legion pin. He spoke about how we are Phis for life and while it may take some work, we owe it to each other and to Phi Delta Theta to continue to stay connected and to give back, wherever and whenever we can. Thank you Todd for my introduction to and education about Phi Delta Theta. After I forced myself to continue running instead of staying for tacos, I continued down Washburn Ave. and then circled around the Topeka and Shawnee County Library – a place I love to take my kids. They are developing an appreciation for reading and learning, and this place helps with that. I’m still working on their appreciation of the quiet aspect of a library! 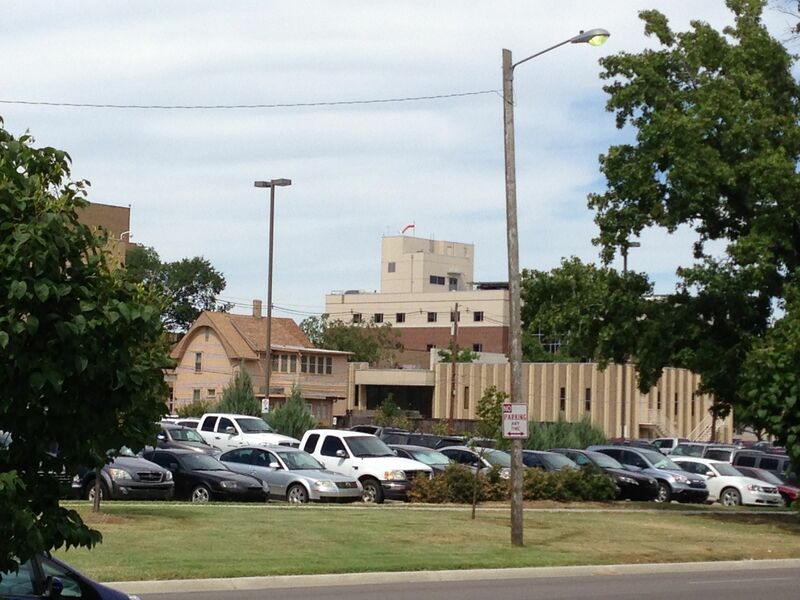 After circling the library I was now heading east on 10th Street approaching one of Topeka’s two hospitals. I paused here to take a photo of St. Francis Hospital. This is the location where both of my children were brought into the world. I am so blessed that they are healthy, happy (generally or as much as 3 and 5-year-olds can be) and they are pretty normal kids. Considering who their father is, that’s pretty good. 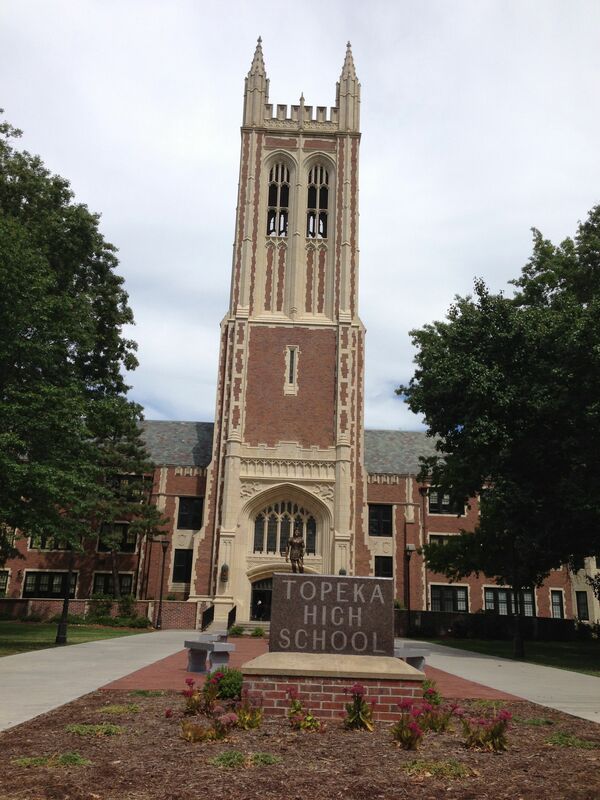 As I continued on 10th Street, my next stop was planned to be Topeka High School. This is a landmark building for the Topeka community. It is a grand old building that has stood the test of time in our community. While I did not attend this school, a number of my friends did as well as their kids. 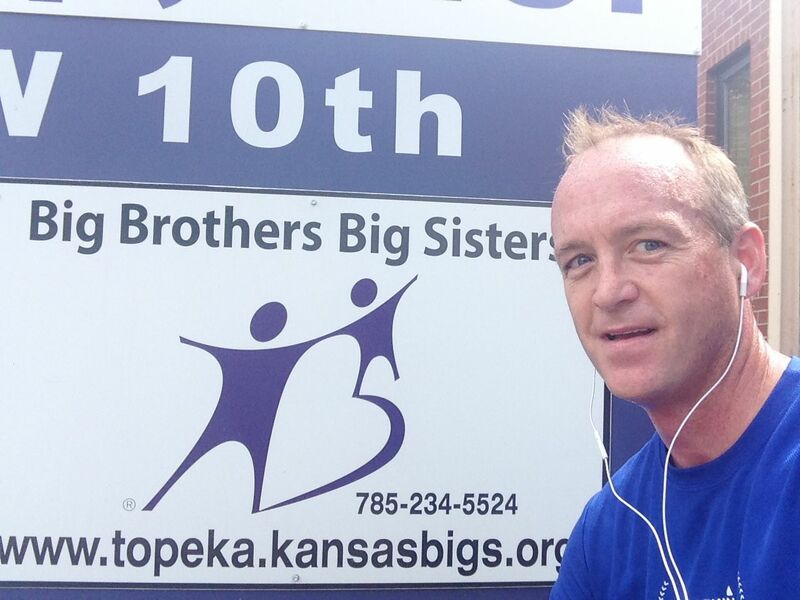 Just down the street from Topeka High School are the offices of Big Brothers & Big Sisters of Topeka. This was an unplanned stop, but as I was running by I felt the need to stop. I served on the board of directors for a number of years completing my service as president of the board. It was a great experience being able to help guide this great organization. My children are lucky enough to have two parents who are actively involved in their lives. Many children in our community do not have such a gift. Being a part of this organization was one small way that I was able to help some of the kids in our community. Across the street from the State Capitol building is the church that I attend. I stumbled upon this church when I first moved back to Topeka after hearing the former pastor speak at an event at my base. Dr. Mike Chamberlain spoke on why prayer matters. That sermon still stays with me to this day. Since then, I have attended this church and my children now enjoy attending Sunday school here as well. 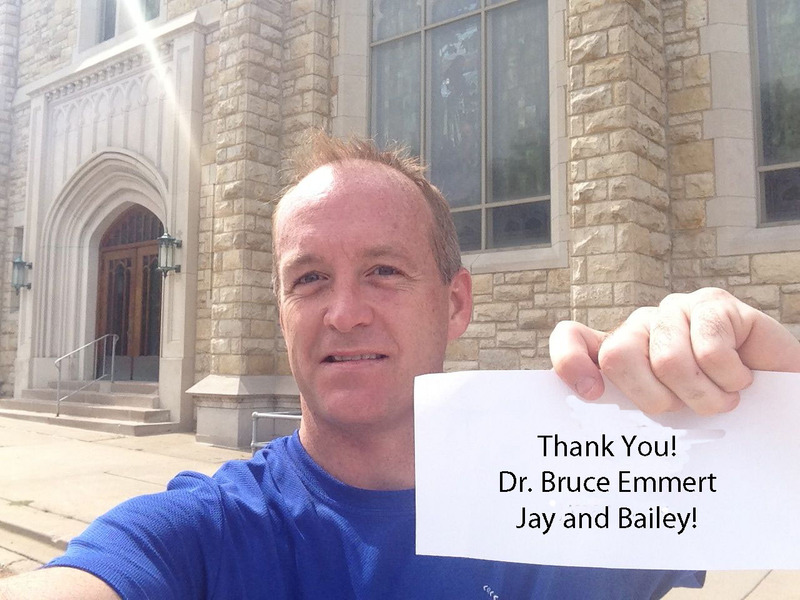 The current pastor, Dr. Bruce Emmert is someone I’d like to thank along with my children at this stop. This is a very large church with three sizable services each Sunday. Despite its size, Bruce notices things and takes the time to check in with his congregation when they least expect it. I’ve personally experienced this from Bruce when he made a point to check in with me on several occasions just to make sure things were going okay. My kids are also thanked at this stop as they have made my involvement in the church a much more rewarding experience. Taking them to youth events and seeing their joy within their respective Sunday school classes has renewed my faith and expanded my overall church experience. 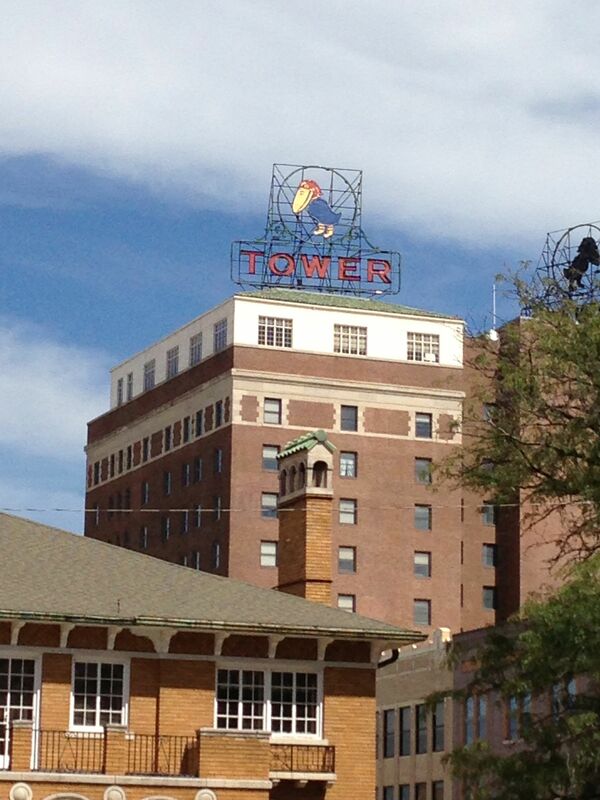 As I was circling the State Capitol building, I paused to take a photo of another Topeka Landmark, The Jayhawk Tower. This beautiful old building is now home to state offices, private business offices, a restaurant, barber shop and theater that will hopefully soon be renovated. The owner of this facility, along with several hotels in the area, is fellow Phi Jim Parish. Jim is a very involved member of the local alumni association, a past president of the Kansas Beta Housing Corporation as well as a past winner of the Raymond L. Gardner Alumnus of the Year for Phi Delta Theta. I’d like to thank Jim for his dedication to Phi Delta Theta and for his thoughtfulness and generosity over the years, both to me personally and to Kansas Beta. 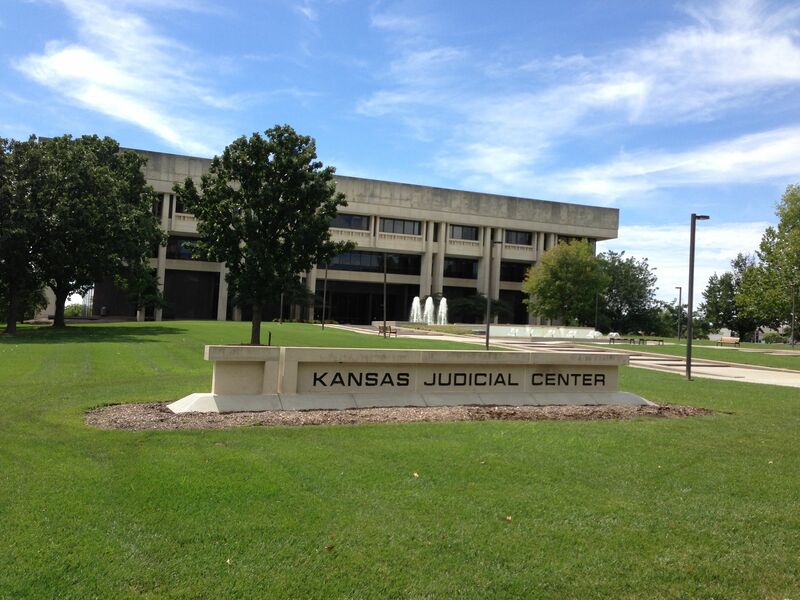 Across the street from the State Capitol building is the State Supreme Court. It is a beautiful facility that was built after the Supreme Court and its offices outgrew the office space originally built into the state capitol. 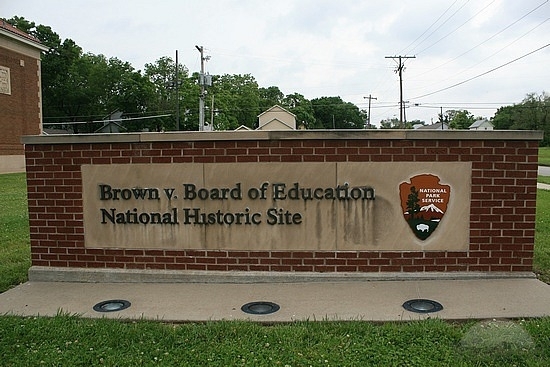 In 1978, the Supreme Court moved across the street to this facility. 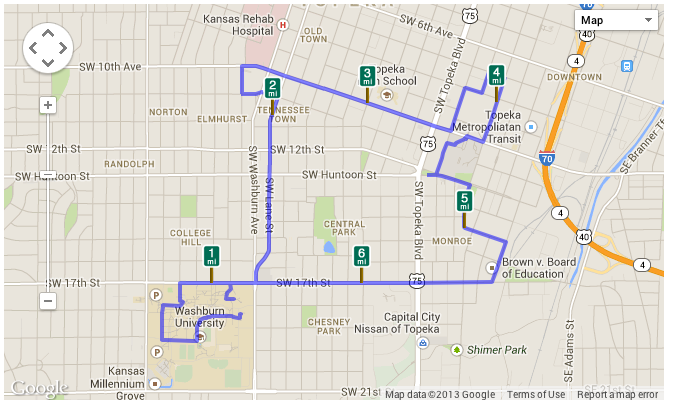 Heading back towards Washburn University, I thought about my running route. It was just a few years ago that I recall sitting at the Phi Delta Theta General Headquarters building during an Educational Committee Planning meeting and the subject of running and Steve Good’s upcoming marathon. At the time I thought that was something I would never put on any bucket list of mine, never mind want to do it more than once. Fast-forward a few years to Steve’s Iron Phi initiative. It was due to this, simply looking for an event that I thought would challenge me and be semi-impressive enough to get my friends and family to donate some money towards my goal, that I choose a half marathon for my Iron Phi event. Since that time I have continued running. That event and the Iron Phi completion opened my mind to the joy of running. Since that initial event, I have completed several more half marathons, 10ks and my first full marathon this past April. I look forward to completing my second marathon next spring. Thank you Steve! Following 17th Street West, I was now approaching Washburn’s campus. I choose to end my run at the Phi Delt house, the place I began both my “good run” and my fraternity and college life. Prior to ending my run at the chapter house, I ran to the middle of campus to make one final stop. 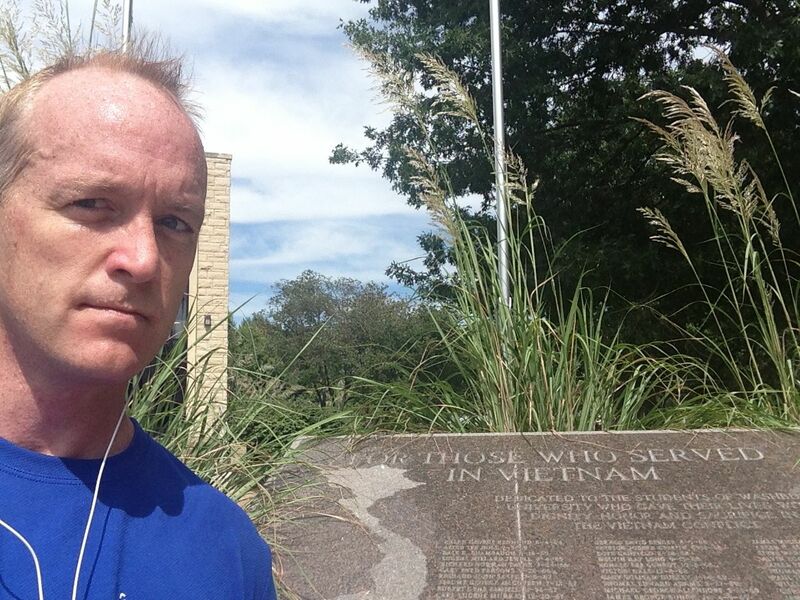 I stopped at the Vietnam memorial that is in front of Morgan Hall. While this memorial is in particular a memorial to those who served in the Vietnam conflict, it also serves as a memorial to all men and women who serve. 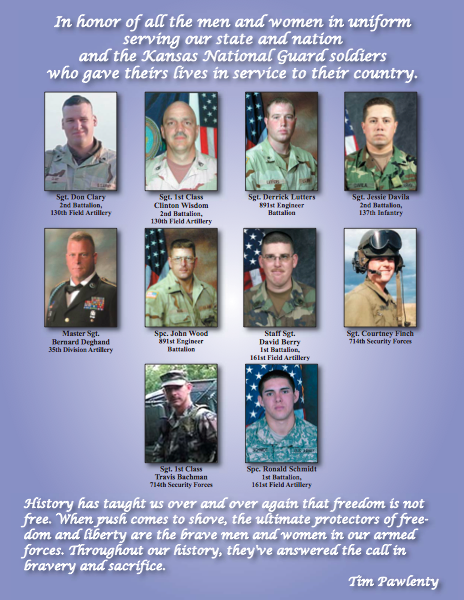 It is here that I want to thank the ten members of the Kansas National Guard who paid the ultimate price for our freedom. Thank you and God bless these men and their families. 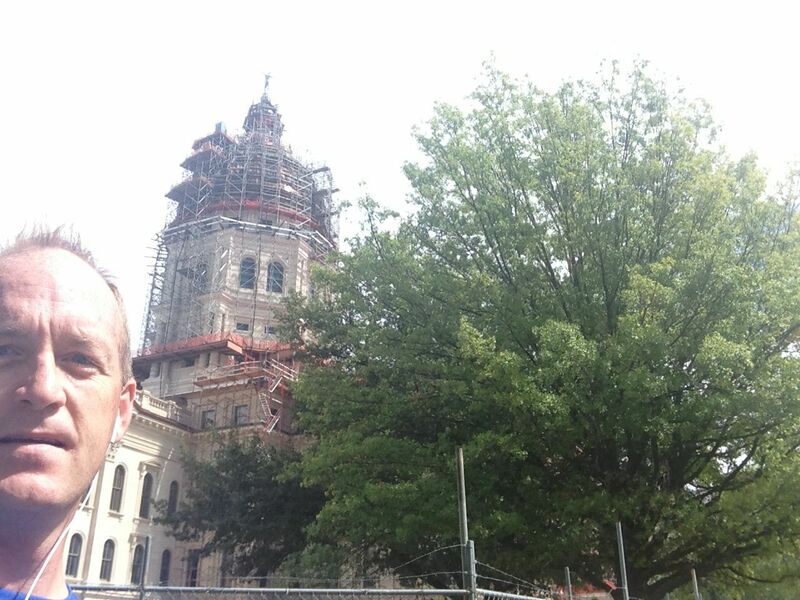 Thank you Steve for this opportunity journal my run and point out some of the great landmarks in Topeka. It was a very cathartic experience, as running generally is, that I really enjoyed. 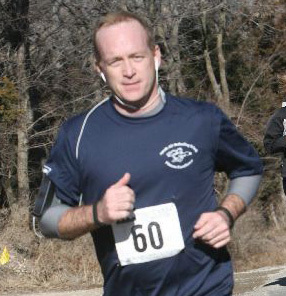 If any of you find yourselves in the Topeka area and are in the mood for a good run, drop me a line!